iPhone smuggling is big business in China if recent reports are anything to go by. According to Reuters, China-based smugglers have been taking advantage of drones to cleverly transport refurbished iPhones across the border from Hong Kong to Shenzhen. These criminals, numbering 26 in total, typically waited until night fell to attach small bags filled with roughly 10 iPhones each to their drones. Once the bags were attached, the smugglers sent their drones across the border. Since the smugglers could reportedly transfer "as many as 15,000" phones across the border in a single night, it will likely come as no surprise to learn the criminals managed to smuggle roughly 500 million yuan ($79.8 million) worth of the devices before being caught. Unfortunately for the smugglers in question, their nighttime escapades have finally come to an end. Shenzhen city customs officials recently tracked the criminals down and arrested them. How exactly customs agents found the group of smugglers has not been made clear. Regardless of the specifics, there's no denying using drones to smuggle high-end mobile devices is an unconventional idea. 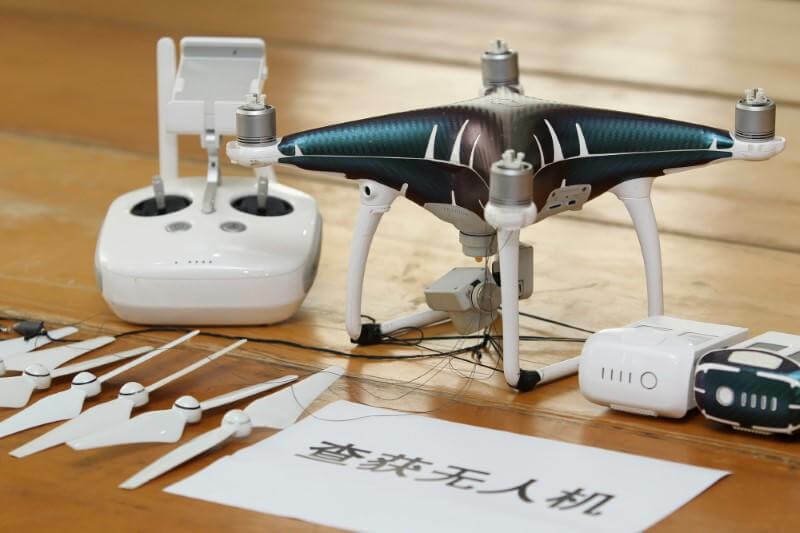 "It’s the first case found in China that drones were being used in cross-border smuggling crimes," Chinese state-owned newspaper the Legal Daily reported.